The Alternative Right or Alt-Right is an ideological group that represents a cross section of the American public, which stands for denouncing mainstream conservatism in favor of embracing extremist white nationalism. The term used to describe this societal group was coined by Richard Spencer, a known white supremacist who wanted the Alt-Right movement to be described by name in a politically correct way that would mask the ideology’s racist populist and Neo-Nazi- influenced nature. Spencer started tossing the Alt-Right term around the media two years into the first term of former U.S. president Barack Obama. The Alt-Right bolstered its existence heavily during both terms of the Obama presidency. From 2008 to 2016, influential figureheads of the Alt-Right movement (such as former White House Chief Strategist Steve Bannon) worked very hard to undermine the Obama presidency and use his election and eventual re-election as fuel for inciting boiling sentiment over America becoming overwhelmingly anti-white. 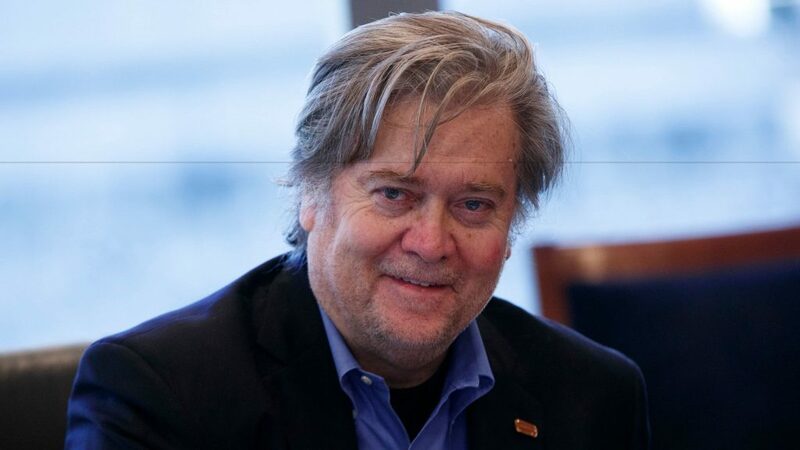 Bannon is also a founding editorial board member of the website for Breitbart News, an ultra- conservative, right wing extremist media outlet, which publishes editorial commentary that is largely anti-Semitic, in opposition to the LGBTQ community, against civil rights movements of any kind, and anti-feminist. A number of America’s mainstream media sources have published content about Breitbart that is highly critical. Bannon and other Alt-Right figureheads have been credited with helping to engineer the success of Donald Trump’s rise into the U.S. presidency. In fact, several high-powered Alt-Right influencers were given prominent posts within the Trump Administration after the highly controversial commercial real estate magnate and reality television star was elected as America’s 45th president in November of 2016. Though Bannon was abruptly relieved of his duties as Trump’s Chief White House Strategist recently, the 63-year- old white supremacist remains an influential figure within the upper echelon of the Alt-Right’s national movement. After his ouster from the Trump White House, Bannon conducted a series of interviews in which he undermined the executive branch of the federal government for not being focused on the proper agenda. “To me the economic war with China is everything. And we have to be maniacally focused on that,” Bannon exclusively told a magazine called The American Prospect. “If we continue to lose [this economic war with China], we’re five years away, I think, ten years at the most, of hitting an inflection point from which we’ll never be able to recover,” Bannon also told The American Prospect. Breitbart News has produced other notable people who have made nationally controversial names for themselves as purveyors of the anti-LGBTQ, anti-woman, and anti-ethnic minority dogma, which has always played a significant role in the driving forces behind the Alt-Right movement’s ideology. One of these people is named Milo Yiannopoulos, a young, bold, and flamboyant writer who used to work for Breitbart as a senior editor. Yiannopoulos is a rising figure in the Alt-Right movement. However, his mixed ethnicity, non- American nationality, and true sexual orientation make the personal agenda he aggressively pursues on behalf of the Alt-Right movement to be extremely contradictory to the ideology’s true meaning. For one, Yiannopoulos was born in Great Britain, the country that outlawed African slavery far before the United States did. Also, Yiannopoulos has a father of Greek descent and a mother who is most definitely of Jewish descent. Not only that, the 32-year- old rising Alt-Right star has publicly described himself as a homosexual. 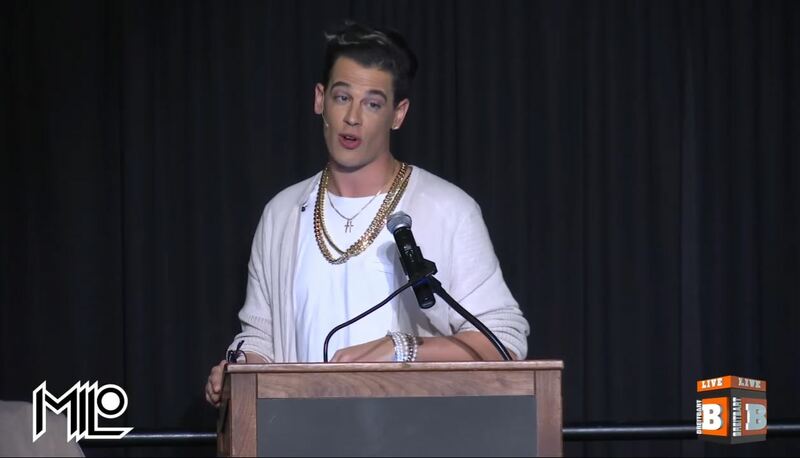 Yiannopoulos’ very existence within the Alt-Right’s leadership should be decried by the movement’s purists who are strictly about the survival of the white, conservative, Christian, and non-homosexual population of America. However, the author, journalist, and technology magnate has been able to earn his keep in an organization that would generally frown upon his presence. He’s been able to overcome those obstacles by doing the dirty work of the Alt-Right movement. His most recent antic of outrage occurred while he was pursuing a national U.S. college tour during a stop in recent history at the University of Wisconsin, Milwaukee.